When the nation’s interstate system was born nearly 60 years ago, it was born in Missouri. During the summer of 1956, President Dwight Eisenhower signed the Federal Aid Highway Act, making $25 billion in federal funding available for interstate construction. Missouri leapt at the opportunity and became the first state to sign a contract for interstate work; Missouri was also the first state to begin construction on a new interstate with projects that would become I-44 and I-70. Since then, Missouri has continued to build an incredible amount of infrastructure, becoming a leader in several areas. Missouri now has the nation’s seventh largest state highway system with nearly 34,000 miles of highways and more than 10,000 bridges. Missouri is home to the nation’s second and third largest freight rail hubs in Kansas City and St. Louis. The state has nearly 5,000 miles of mainline railroad tracks. St. Louis is the nation’s third largest inland port and is one of 14 river ports located in the state. While much of this infrastructure is aging, it remains in relatively good condition; the state’s transportation infrastructure was ranked the nation’s 13th best in 2014. However, Missouri’s solid rankings belie major funding problems. The Missouri Department of Transportation’s revenue projections tell the story. Although the department operated on a $1.3 billion annual budget in 2009, the department projects to have only $325 million to spend by 2017. Transportation leaders have sounded the alarm that the state needs a minimum of $485 million per year to simply maintain its existing infrastructure—with no improvement projects. The projected $325 million budget would lead to poorer road conditions and the possibility that aging bridges might simply close rather than being repaired or replaced—effectively creating lengthy permanent detours across the state. A 2014 Gallup survey commissioned by the Missouri Chamber of Commerce and Industry showed that only 37 percent of business leaders are satisfied with Missouri’s roads and infrastructure. Dallas Nichols called Missouri’s highways the life blood of The Doe Run Company, where he works as transportation manager. Gene Schwartz, president of K&S Wire Products, is also concerned about how future road funding could impact his business. Construction and wholesale trade businesses were particularly concerned about infrastructure, with only 30 percent saying they are satisfied. This finding comes as construction and engineering businesses that rely on public infrastructure work are already being hurt by the state’s diminishing transportation budget. “The projections for businesses like ours are very low,” says Bob Gilbert, a location manager for Bartlett & West in Jefferson City. The company provides engineering and technology services for transportation agencies in Missouri. For the coming year, Gilbert expects to see less than half of last year’s workload. Worsening infrastructure could also impact tourism, even in rural areas. Other business leaders have voiced concerns about the availability of direct flights. With no major airline hubs located in the state, getting direct connections to some destinations is a significant challenge. Energy and technology infrastructure are also critical to our future, though these were less of a concern to Missouri employers. The Missouri Chamber’s Gallup survey showed that 52 and 61 percent of business leaders were satisfied with the state’s energy and technology infrastructure, respectively. As the state looks to 2030, transportation infrastructure must be addressed. 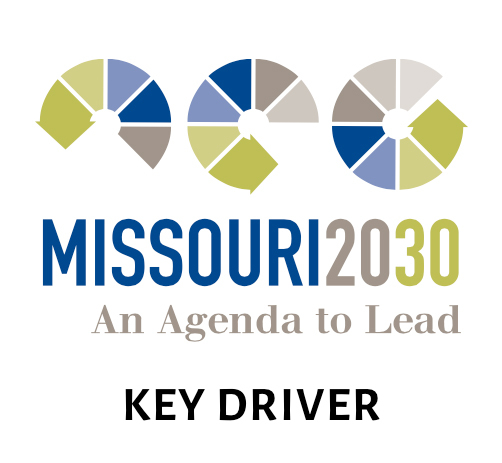 The Missouri 2030 plan calls for a focus on identifying sustainable funding for infrastructure with a consortium working together to find a solution. The Missouri Chamber will also intensify its efforts toward establishing improved infrastructure for international trade. In addition, the Missouri Chamber of Commerce and Industry will work to retain our competitive advantage as a low-cost state and seek to improve broadband access and speed to help Missouri gain an edge in technology infrastructure. Ted Abernathy, a national economic consultant who led the Missouri 2030 strategic planning process, says transportation can continue to be an important asset for Missouri. However the state must realize there is growing competition from other states. 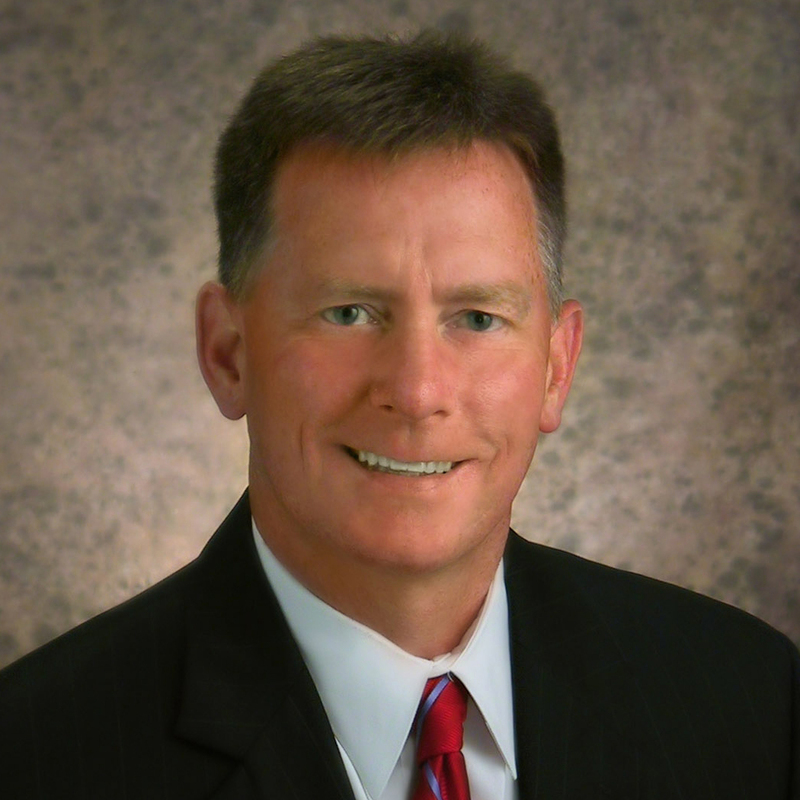 “Staying pat with what you have is not going to be a competitive advantage,” Abernathy says.